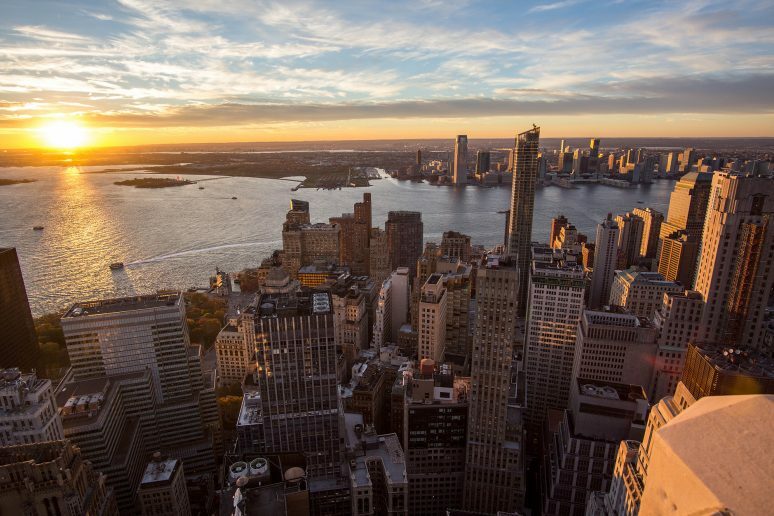 Home to iconic American landmarks like the Statue of Liberty and Empire State Building, New York City is one of America’s top tourist destinations. Fondly called the capital of the world, some of the best fashion, art, and culinary experiences can be found here. It’s true that the city has an energy unlike any other. People walk and talk at a New York pace. Commuters jump in and out of taxis, street performers draw crowds in the park, and subways leave the stations packed with people from all walks of life. The hustle and bustle of the city will make you realize why it’s called the city that never sleeps. Walking down 5th Avenue, it’s easy to understand why people assume New York is outrageously expensive (it’s often true!). 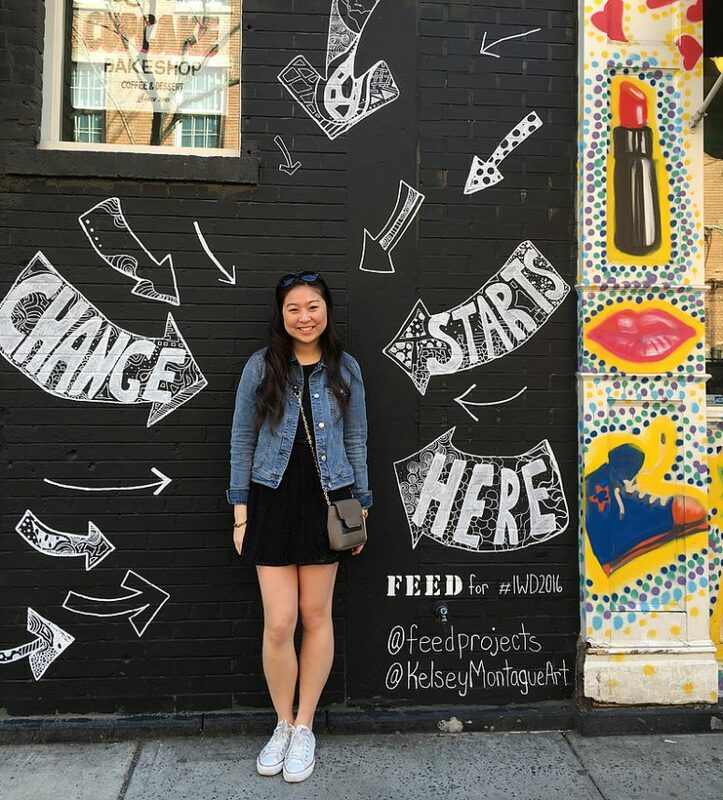 Celebrities, prominent individuals, and investment bankers live out their luxury lifestyles in New York City, but the city is also home to a surprising number of college students. 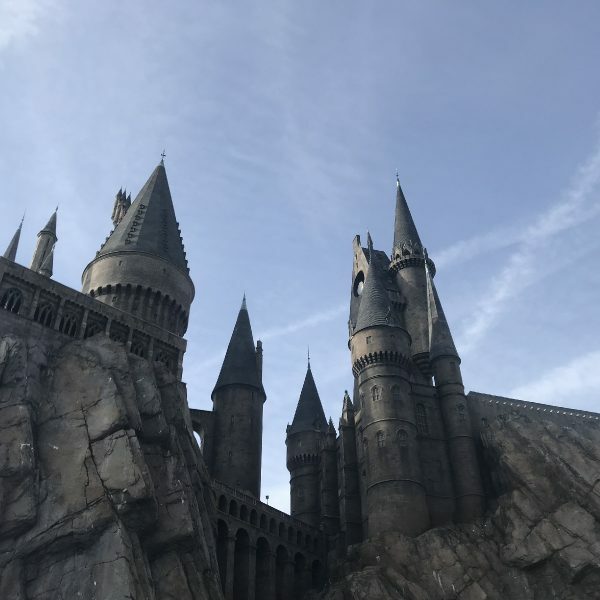 I’ve lived in the city for the past three years on a student budget and have had no shortage of unforgettable experiences. Here are my suggestions for what to do for a weekend in New York City — your parent’s credit card, not required. Looking back across the Brooklyn Bridge towards the Manhattan skyline is the best view you can get of the skyline without taking a helicopter ride for a bird’s eye view. 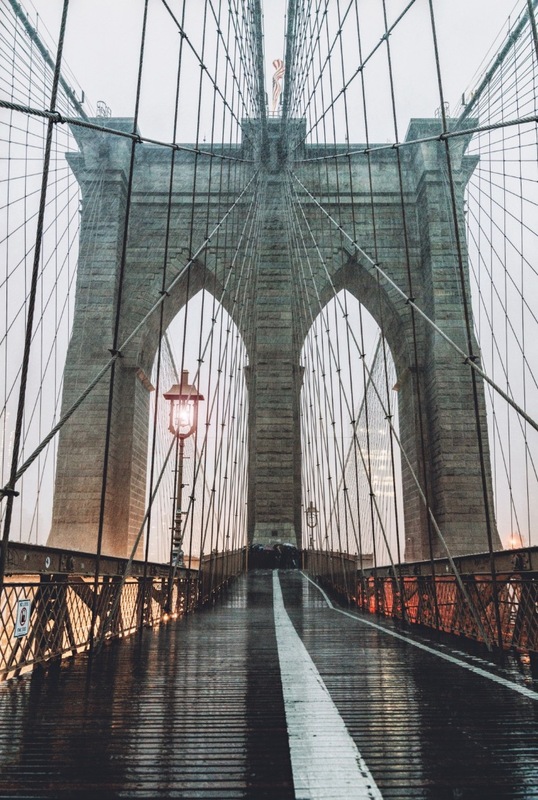 It’s no wonder that the Brooklyn Bridge is something that attracts not only tourists, but commuters and New Yorkers who just can’t get enough of their own city. On multiple occasions I’ve walked across the Brooklyn Bridge and relaxed on a bench in Brooklyn Bridge Park to watch the sun set behind the magnificent skyline. Unlike the Empire State Building, Chrysler, or Freedom Tower, this quintessential New York landmark does not require an entrance fee. Take the 4, 5, or 6 train downtown to Brooklyn Bridge City Hall (the last stop in Manhattan) and walk across the bridge heading toward Brooklyn. Along the bridge there are multiple places to take beautiful photos as the cars rush by below. Once you arrive in Brooklyn, exit the bridge and walk to Brooklyn Bridge Park where you can explore the piers or relax on the benches overlooking the water. 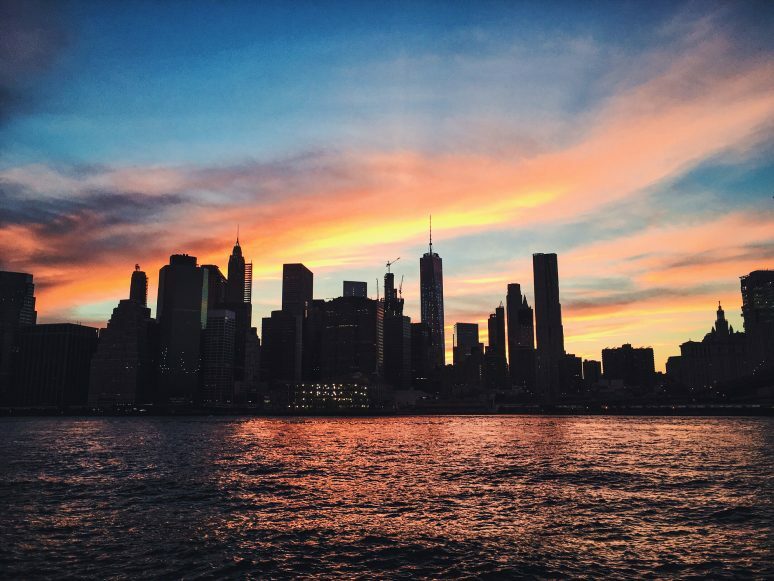 This is my favorite spot to watch a New York sunset because of the picturesque view. After the sun goes down, head to one of the countless restaurants in the area for dinner. I recommend Juliana’s Pizza or Dellarocco’s of Brooklyn for a New York slice. Don’t forget to head to the Brooklyn Ice Cream Factory afterward for dessert. New York is truly a foodie’s paradise. No where else in the world can you have such a diverse selection of authentic, expertly prepared food at virtually any hour of the day. If there’s any type of food you like, there are probably multiple restaurants in New York that specialize in it. Fittingly named for its location in New York’s Chelsea neighborhood, Chelsea Market is one of the world’s most famous food markets. For a culinary experience on a budget, this is a great place for visitors to taste a bunch of different specialty cuisines without having to run all over the city. My favorite vendors are Friedman’s Lunch and The Lobster Place. The market is home to a selection of restaurants, bakeries, shops, and an artisanal market called Artists and Fleas. 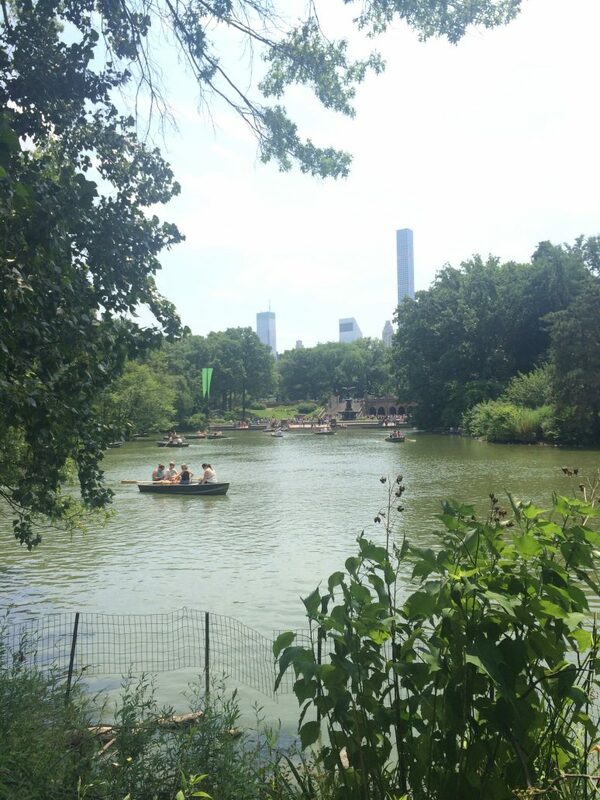 Central Park spans from 110th Street to 59th Street between 5th Avenue and Central Park West. 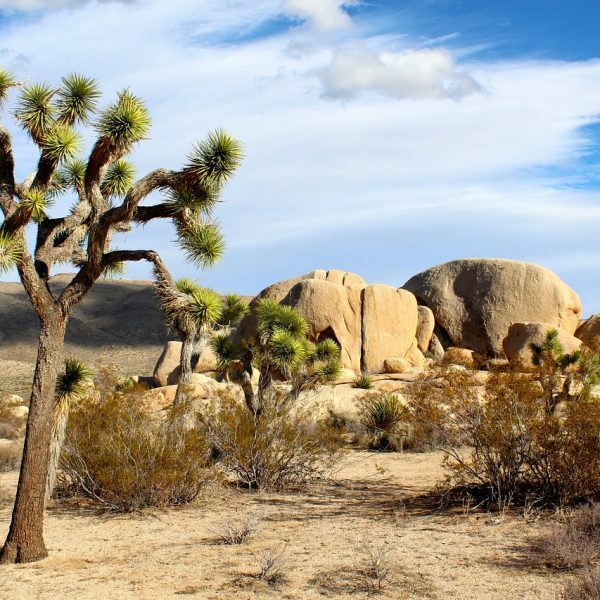 The area is so expansive that no matter how many times you go there you’re always bound to wander into a new spot. The urban park is one of the most filmed locations in the world and is a feature of the city that no visitor should miss. 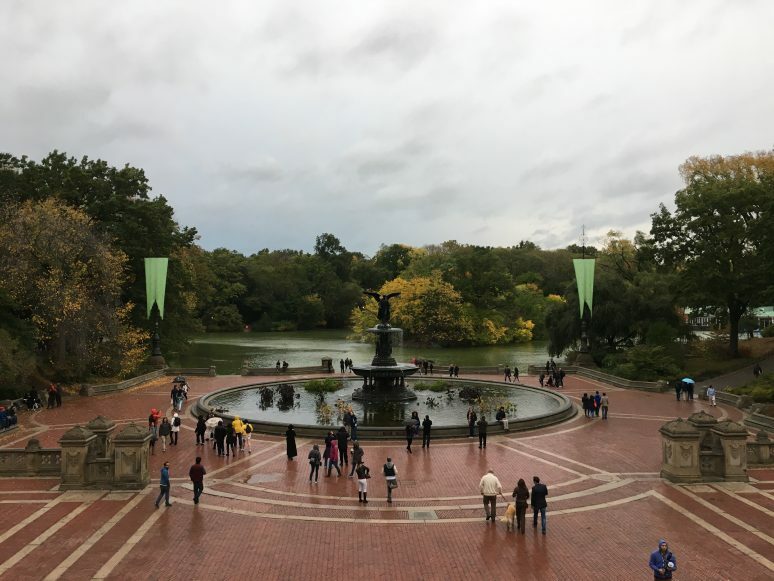 If you only have a little time, head to the Bethesda Fountain and make your way over to Shakespeare’s garden for a stroll up to Belvedere Castle. 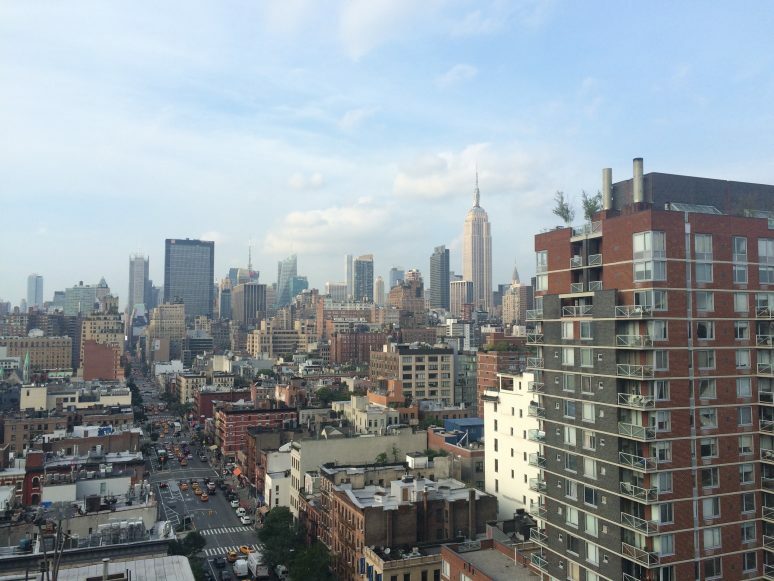 While SoHo might not be the place to shop on a budget, window shopping is completely free. The window displays in SoHo are some of the best in New York (with exception to 5th Avenue) and the cobblestone streets and unique array of boutiques make it a great area to window shop and browse. 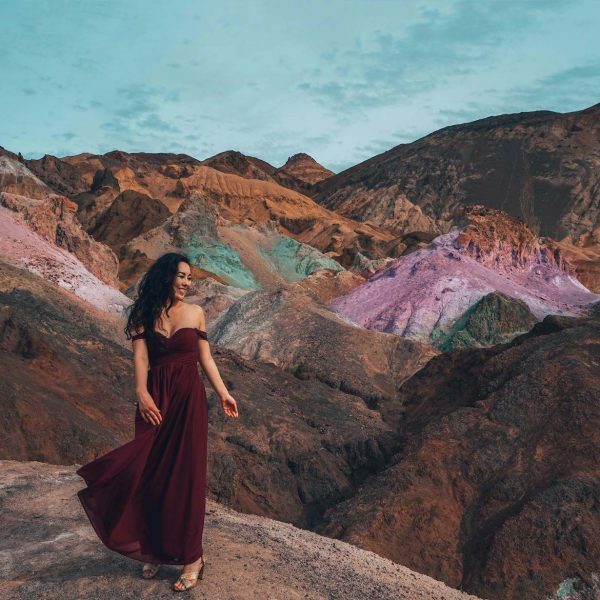 Here you’ll find all the big name designers, standard stores like H&M, Uniqlo, and Brandy Melville, but also one-of-a-kind boutiques and pop-up shops. SoHo is also home to some incredible street art and cafes. 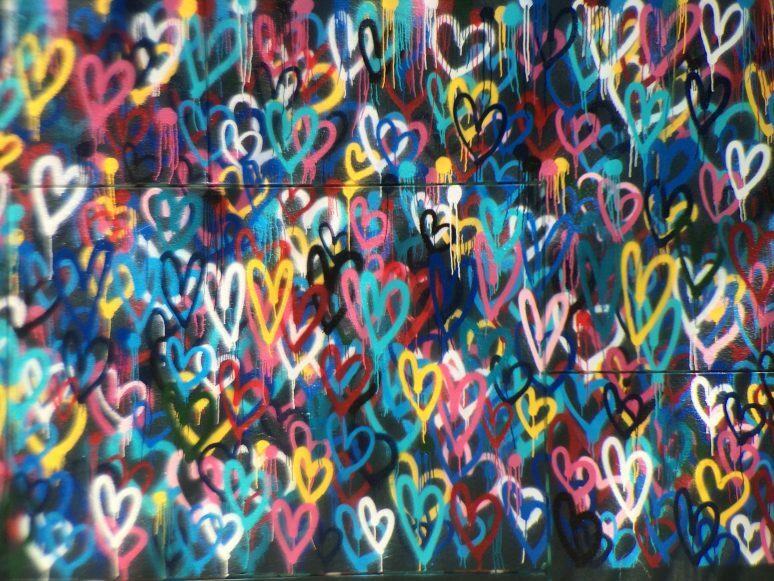 Outside the Little Cupcake Bake Shop, you’ll find a wall of hearts and other street art that changes throughout the year. Head to Broome Street to find Audrey Hepburn outside Caffe Roma, or the corner of Kenmare and Mulberry to see the famous Homer Simpson Avocad’oh Wall. As you walk around, you’ll be sure to spot other murals and street art that are always popping up around the city. 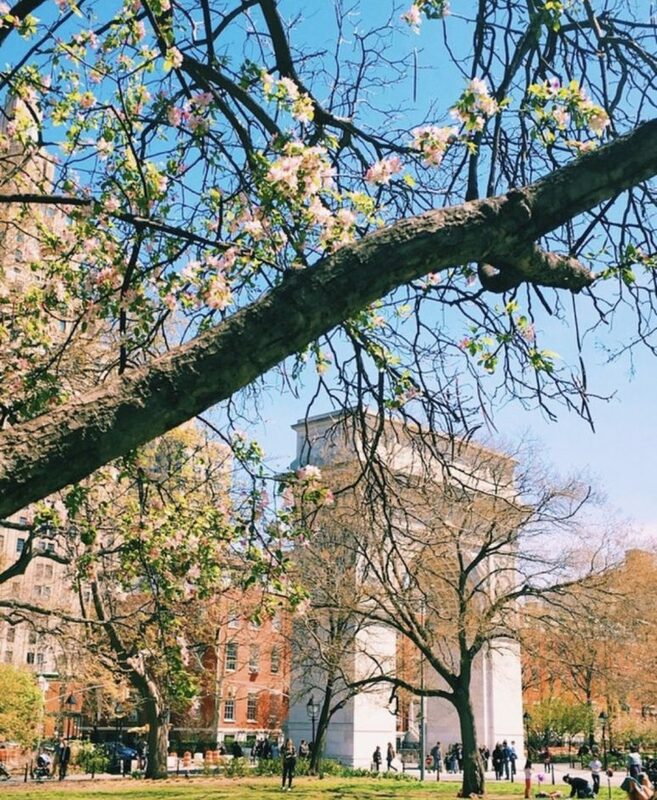 Head to Washington Square Park located in Greenwich Village to see the Washington Square Arch and stick around to get a taste of local flavor. New Yorkers know how to express their unique individuality. You’re bound to see some street performers, artists, and one-of-a-kind outfits that you’ll only get in New York. If the weather is nice, grab lunch from a nearby grocery store or deli and picnic on the grass. This landmark seems to fly under the radar, but the transportation hub and shopping center is worth visiting for the architecture. The massive white structure appears like a bird about to open its wings and the interior of the building is exceptionally white with lots of natural light. 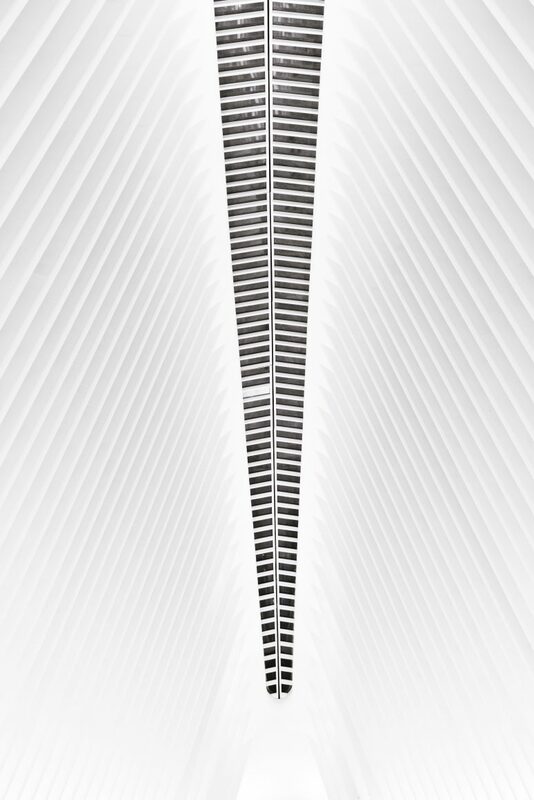 The Oculus is definitely one of those places that looks just as remarkable in person as it does in photos. New York is filled with swanky hotels and activities catered toward tourists. 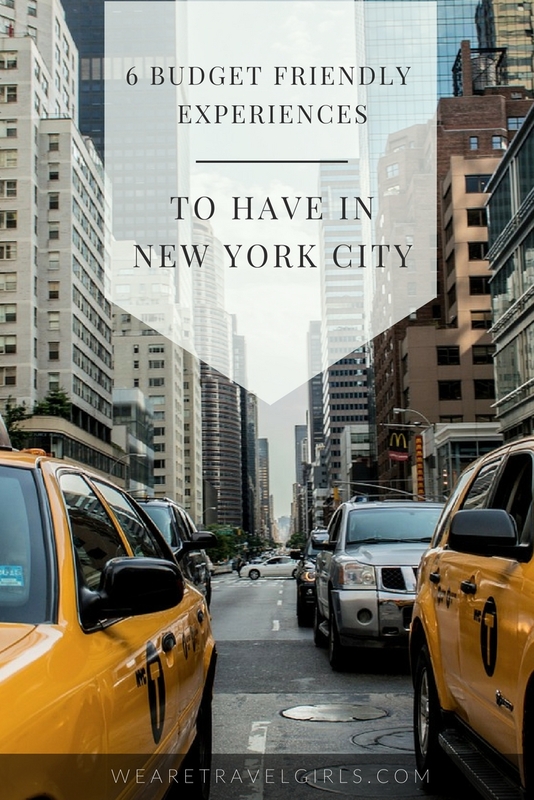 Plan your own itinerary, using the subway, and simply take in the addictive energy of the Big Apple. This charming and lively city has something for everyone. Happy traveling! Have you ever been to New York City? We’d love to hear your stories, tips or questions in the comment section below!